Metroidvania style action/platformer with tons of abilities, enemies and exploration. 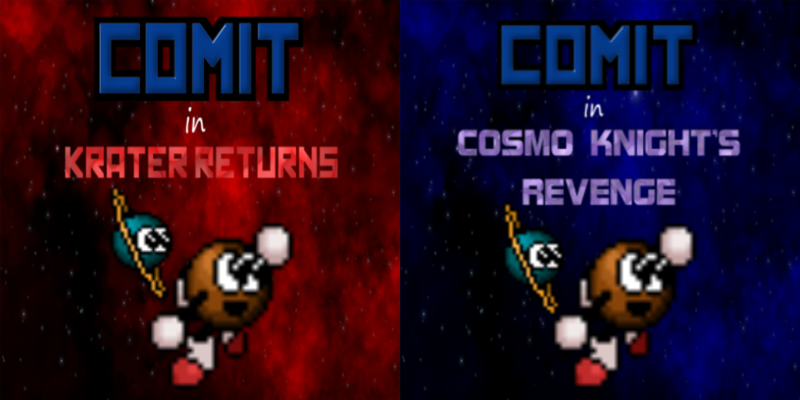 LunarCore Games would like to announce two new Comit games coming out in 2019! The two games will be companion games both built on a new engine with improved physics and gameplay. New Power-Ups/Items, Bonus Stages and Improved Physics. StarCore is a metroidvania style action platformer. Explore a giant space ship, gain upgrades and improve stats, defeat huge bosses and meet new allies. You play as Trion, Leader of an Arkonian team sent to steal the StarCore from the Draketh. The Draketh are an advanced mining empire that uses the StarCore to destroy planets with ease. Although they haven't attacked any civilization yet, the Arkonians perceive them as a threat. Without the Galactic Council's assistance, the Arkonians alone must steal the StarCore.